Please let me know if these hours do not work for you so we can coordinate our schedule. Call me at 780.532.2464. 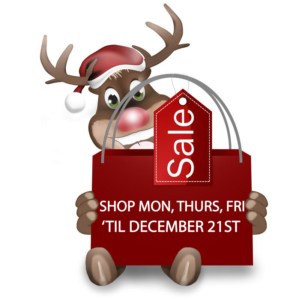 Last day of shopping is Friday, December 21st. See link below for a partial price list of items available.